Have a Scary, but Safe, Halloween! Ghosts and goblins, little witches and skeletons — and more than likely the latest Disney princesses and comic book characters — will be roaming the streets come Halloween. A scary as the subtext of Halloween may be, it’s not meant to be dangerous day. While adult costume parties are increasingly popular, it is still a day meant for the kids, and you want to do all that you can to keep it safe for them without taking the spirit of the day away. · Drive carefully. Ideally, you won’t have to get in your vehicle on Halloween. But if you do, remember there will be scores of excited youngsters roaming the streets, and they could be darting out into the road unexpectedly. Please pay attention. · Keep an eye on those kids. Kids can be quick and crafty. To keep them from running out into the road unattended, sampling some candy you haven’t inspected or entering a stranger’s house, don’t divert your attention from their Halloween frivolity. · Illuminate from within. 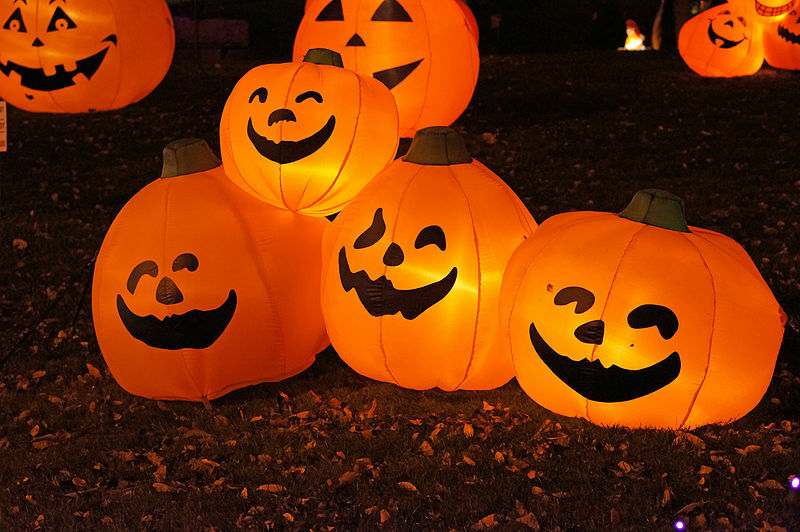 The Jack O’Lantern is a time-honoured Halloween tradition. Carve a scary face into the side of pumpkin, put in a candle and voila! a creepy glowing scary face out front of your house. But anytime you are using a live flame, like a candle, there is a risk of fire. Mitigate that risk by using small battery-powered lights to give your Jack its spooky aura. · Light the way. No question, Halloween is best enjoyed after dark. But it can be treacherous walking to streets with limited visibility after the sun goes down. Best to carry a small flashlight with you to ensure no tripping hazards are in your path. · Charge up. Taking the kids out trick or treating is the Halloween mainstay, the kids decked out in their costumes going door-to-door for some free candy. No doubt you will want to snap some pictures on your mobile phone, coordinate with the parents of your children’s friends, or — worst case — maybe even need your phone in the event of an emergency. It’s not a time you want to be running out of juice. Bring along a portable charger to ensure your phone is ready when you are. · Enjoy cautiously. For the kids, it’s all about the candy. Mini chocolate bars, bags of chips, rockets, molasses kisses … by the end of the night their treat bags are a veritable cornucopia of junk food. Parents should closely inspect all of the candy the kids bring home on Halloween, looking closely for any evidence it may have been tampered with. It is also a wise idea to monitor how much they are eating to ensure it stays in balance with a relatively healthy diet. For more information on Rayovac, please visit Rayovac.com. Rayovac is a brand of consumer products owned by Spectrum Brands Inc. Rayovac® products lead the world in battery power and innovation. Backed by a long history of bringing the latest innovations to the marketplace, Rayovac® offers a full range of high-performance batteries to meet the power needs of today's consumers. From long-lasting alkaline batteries to advanced rechargeable technology to mercury free, enhanced hearing aid batteries, Rayovac's state-of-the-art products offer more power for the money. The company also manufactures a wide selection of high-quality flashlights. For more information, visit www.rayovac.com. Spectrum Brands Holdings, a member of the Russell 2000 Index, is a global and diversified consumer products company and a leading supplier of consumer batteries, residential locksets, residential builders’ hardware, plumbing, shaving and grooming products, personal care products, small household appliances, specialty pet supplies, lawn and garden and home pest control products, personal insect repellents, and auto care products. Helping to meet the needs of consumers worldwide, our Company offers a broad portfolio of market-leading, well-known and widely trusted brands including Rayovac®, VARTA®, Kwikset®, Weiser®, Baldwin®, National Hardware®, Pfister®, Remington®, George Foreman®, Russell Hobbs®, Black+ Decker®, Tetra®, Marineland®, Nature’s Miracle®, Dingo®, 8-in-1®, FURminator®, IAMS®, Eukanuba®, Digest-eeze™, Healthy-Hide®, Littermaid®, Spectracide®, Cutter®, Repel®, Hot Shot®, Black Flag®, Liquid Fence®, Armor All®, STP® and A/C PRO®. Spectrum Brands Canada is based in Mississauga, ON. The Global Auto Care Division manages the Armor All® and STP® brands. Spectrum Brands Holdings, based in Middleton, Wisconsin, generated net sales of approximately $4.69 billion in fiscal 2015, employs more than 13,500 employees worldwide and sells to the top 25 global retailers with products in more than one million stores. For more information, visit www.spectrumbrands.com.